Komodo, Indonesia is one of the worlds most famous dive destinations - mostly known for its population of manta rays, it earns its reputation not only for the majestic rays, but also of it’s abundance of marine life and huge populations of corals. The best way to hit all of these top dive spots in Komodo is to go on a liveaboard for at least 3 days (but preferably 7) so you can reach the further out dive spots that aren’t accessible on the main land Labuan Bajo. We recently hosted a Girls that Scuba trip to Komodo and here’s what we think are the best dive spots in Komodo. Let's go diving in Komodo!! Now don't quote us on this, but this could possibly be the best dive site of all time. BREAMING with corals as far as the eye can see, we doubt you would have ever seen this much colour - or this many turtles on a dive before. Another great thing about Batubalong is the current is minimal and the depth is shallow, and when there is great light it's an underwater heaven for photographers. Expect sharks, turtles, rays, and pretty much just anything at any time.... GO NOW! 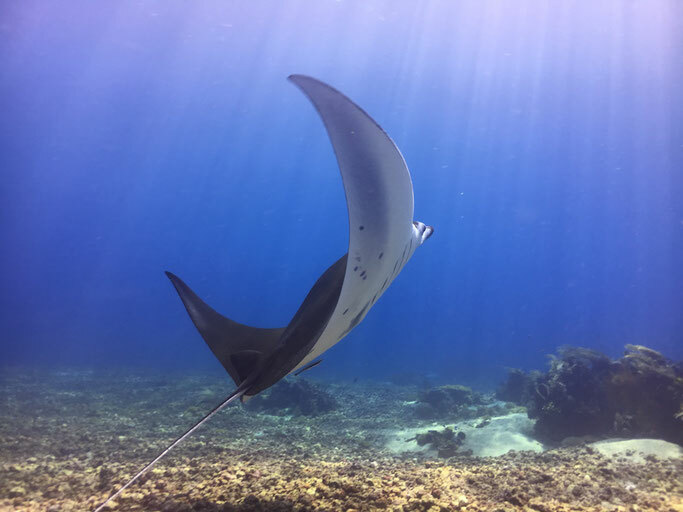 Here's where you want to head if you are looking for the illusive (well, not so in Komodo) manta rays! The dive sites of all dive sites; expect mantas swooping by, turtles chasing them, and corals peacefully swaying underneath. Then you've got the chance of sharks, eagle rays, morays and clown-fish all up in the mix. Basically, you're going to want to put Taka Makassar right up there on your bucket list! Not seen enough manta's? Or worse still, not been able to spot them yet? Let's try Manta Alley then! Enjoy this shallow dive with a huge possibilities of mantas and turtles, maybe even a shark. Maybe even free dive this one? It's feeling like no other when a manta comes to say hi! One of Komodo's most famous dive spots - and rightly so! It's like a fish and coral explosion down there! Pinnacles rising from a shelf 20-24 meters deep and reaching almost the surface up to 4 meters deep, offer an unforgettable view. White and black tip sharks patrol the area, which is also visited by eagle and manta rays in the right season. But be careful, the currents can be strong here. We'd recommend you are at least Advanced Open Water qualified - and don't forget that SMB! 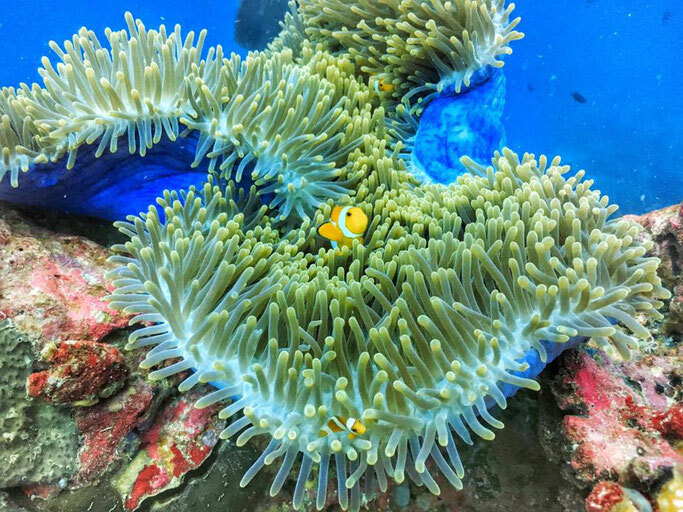 We asked our dive guide on board CNdive Komodo liveaboard what his favorite dive was and he chose Current City. Why? You've got the Southern area at about 24 meters depth which is home to a small cave where a colony of pygmy seahorses live! Then you can expect the white tip sharks, grey sharks, giant trevallies and tuna fishes here too. In the Northern side, around 22 meters are two big rocks that give shelter to a cleaning station, mostly used by sweet-lips. Current here can be STRONG (hence the name) so come prepared. 3 sisters get its name by the 3 big rocks dominating the dive site sitting on a 30 m deep sandy bottom with the top parts being only 3m deeps. Lots of light, life and love will be going on the minute you dive in. Keep your eye out for many species of nudibranchs all over the rocks. For the adventurous there is actually a fourth sister located further to the West that starts in about 20m of water and then drops down to 40m with some impressive sea Fans and good marine life around it. As always the current can be unpredictable. No trip to Komodo is complete without a night dive! Head over to Gili Lawa and experience the bio luminescence in full glory with even the slightest of touches. 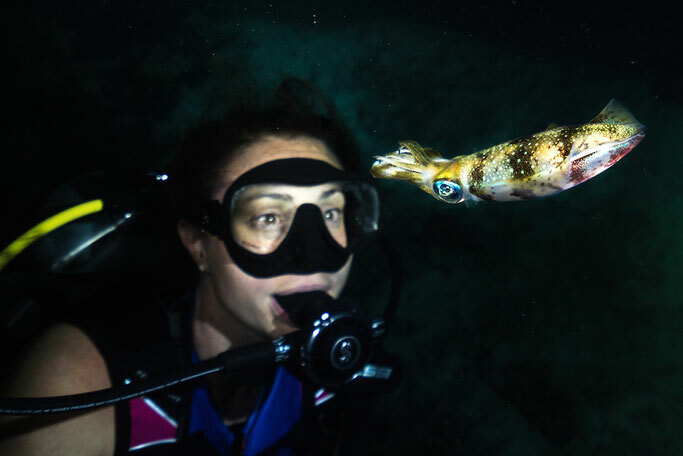 You may even bump into squids, octopus, sharks and rays. Grab your dive torch, you're in for a spectacle! Diving in Komodo isn’t always easy, there are unpredictable currents, so you must never dive without a DSMB/SMB. Get your SMB here. 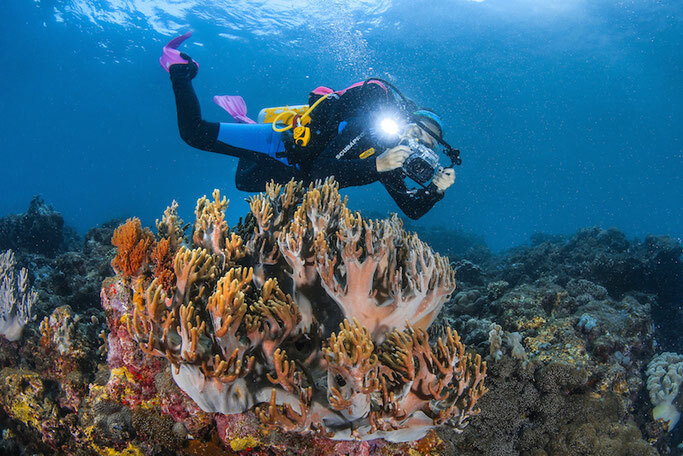 Your own scuba equipment is advised especially on a liveaboard in Komodo. The best way to experience Komodo in on a liveaboard - from 3 - 7 days to hit up all the best scuba sites! 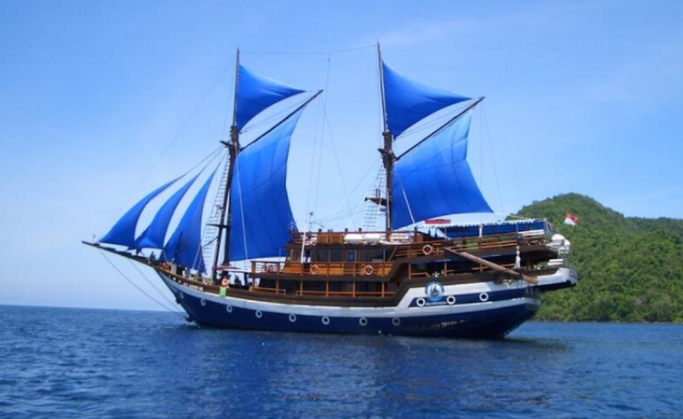 Komodo liveaboards are also a much more affordable alternative to Raja Ampat liveabords and the cost of getting there. Girls that Scuba discount card holders get 5% off 41 different boats in Komodo, saving a huge amount - sign up here! You can also check out current offers on Komodo Liveaboards here. What will reward you at the top is possibly the most beautiful sight in Indonesia. It’s only a 1 hour hike to get to the view point at the top, but it’s pretty step with unstable ground. To get to Padar island you will have to take a boat from the main land of Labuan Bajo which takes around 3 hours, but is usually combined with a trip to Komodo National Park, so take a look at the tour operators on Labuan Bajo and see which day trip best suits. Kalong Island is one of the only places on earth you can see this natural phnemomam. Thousands upon thousands of bats migrate out from the mangroves into the night sky around 6pm on summer evenings with this National Geographic kind of displaying lasting for around 15 minuets. And the best thing about it? You can stop by the mangroves after your visit to Rinca Island (where you see the dragons) on the way back home, with a beer in hand. Visit a traditional village and watch ‘Caci’ fight, a ritual whip fight, is a major element of Manggarai cultural identity. Spectators support their favorite party by cheerfully shouting out their encouragement, making it a very lively event. The best place to watch this is at Melo Vilage located on the Transflores ‘highway’ about 20km on the road from Labuan Bajo to Ruteng. Here you will also be able to see traditional dances and have the opportunity to spend time chatting to the locals and snapping some great photos. And of course Komodo Dragons!! No trip to Komodo is complete without a selfie with the world’s largest lizard, and these are almost guaranteed in these sacred islands. The best place to see them is Rinca Island. Here, you can hike around the lush greenery, while searching for these beautiful beast. You have to have a guide with you at all times (in case you didn’t know, their poison can kill you with one bite) who carries around a large wooden stick to ward off any inquisitive dragons. 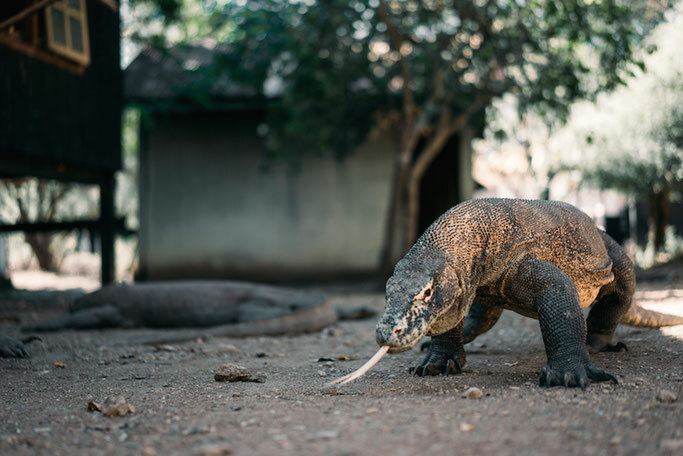 You can also see Komodo Dragons at Komodo National Park, located on a separate island from Rinca. To get to both of these spots you need to take a boat trip from Labuan Bajo.